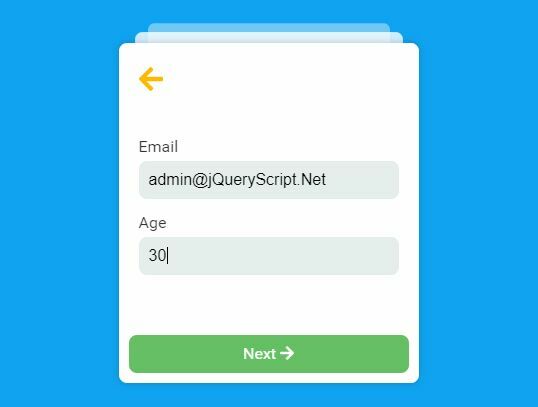 Yet another jQuery form wizard plugin which turns your long form with field sets and legends into a step-by-step wizard with filed validation integrated. 1. 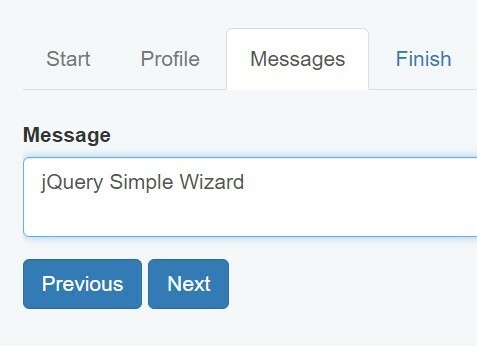 Load the jQuery formToWizard plugin after loading jQuery library. 2. 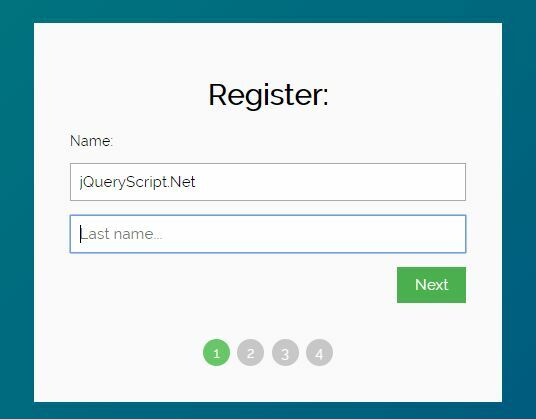 Load the jQuery validate plugin for form validation. 3. Split your form into several steps using fieldset and legend elements. 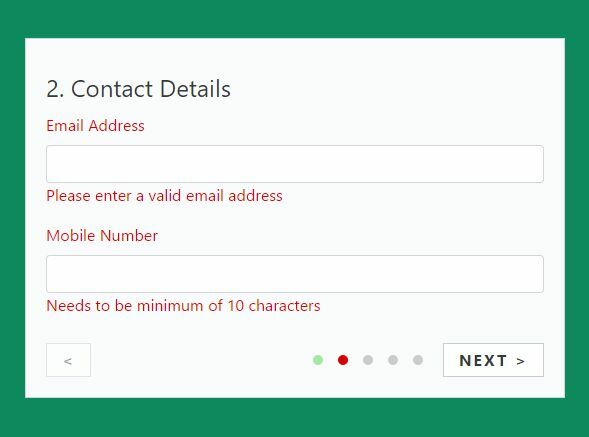 In this case, we're going to use Bootstrap 3 for basic form styles. 4. Create an element to place the progress bar indicating the current step you're viewing on. This awesome jQuery plugin is developed by artoodetoo. For more Advanced Usages, please check the demo page or visit the official website.